35 Stylish Wedding Invites That Won’t Blow Your Whole Budget! by Najva Sol, Content Manager at APracticalWeddingCom! Pro Tip: Almost all of the invitations below are available in a wide assortment of colors, so if you don’t see what you like here, click through and you can usually update the colors. Also, remember that many of your guests will be invited in pairs or family units, so a hundred invitations will cover way more than a hundred guests. NOW IT’S YOUR TURN. DID YOU LOVE YOUR INVITATIONS EVEN IF THEY WEREN’T $$$$? WERE THEY WAY LESS EXPENSIVE THAN YOU EXPECTED? 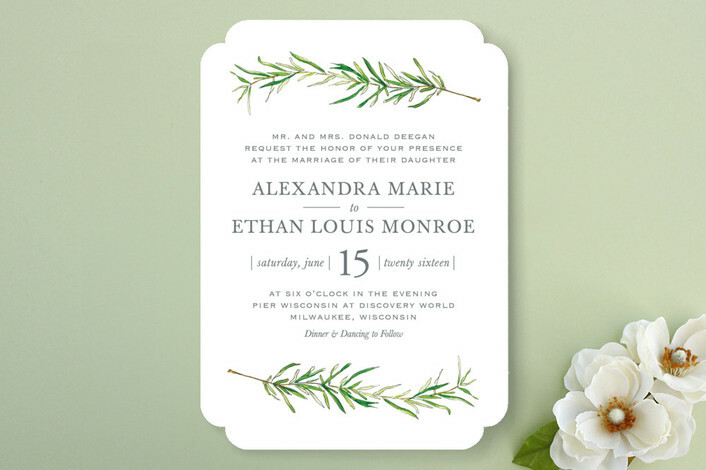 DO YOU HAVE AN AWESOME RESOURCE FOR AFFORDABLE WEDDING INVITATIONS THAT WE MISSED? TELL US ALL YOUR SECRETS! Najva Sol is an Iranian-American writer, photographer, fashion designer, branding consultant, artist, and ex-poet based in Brooklyn, NY. Storytelling is her life, but making chicken broth is a close second.